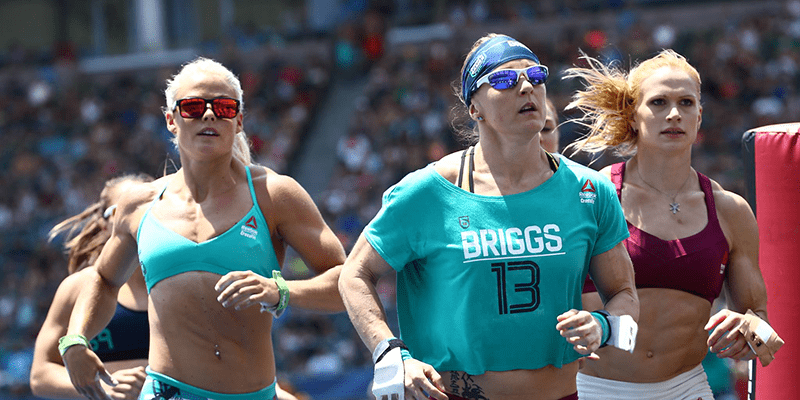 These CrossFit Games highlights form a mixture of guts, glory, athleticism and pure heart. Which was your favourite? Still jet lagged, Sam Briggs became a force to be reckoned with on the 7km Trail Run. Running through the dusty mountains and wooded ravines, she started at the front of the pack, and kept a strong pace with the leading guys. Towards the middle of the event, as athletes began to thin out more, she passed more and more competitors, and looked calm and resolute. She finished in first place for the women, and third overall, beating 38 of the other guys! Only Mat Fraser and Josh Bridges were faster!